* Latest News: You can make your bookings for Le Mans Classic 2020 now.! The confirmed dates for the event are the 3rd – 5th July 2020. Please call us now to reserve all your tickets for Le Mans Classic 2020. Private off-circuit campsite within a short drive of the circuit. Evening meals and transfers are available. Staying off the circuit is a popular alternative at the Le Mans Classic for people that prefer a more relaxed atmosphere and quiet nights. We are able to offer a variety of alternatives for those wishing to stay off circuit including various campsites, hotels and B&B accommodation. 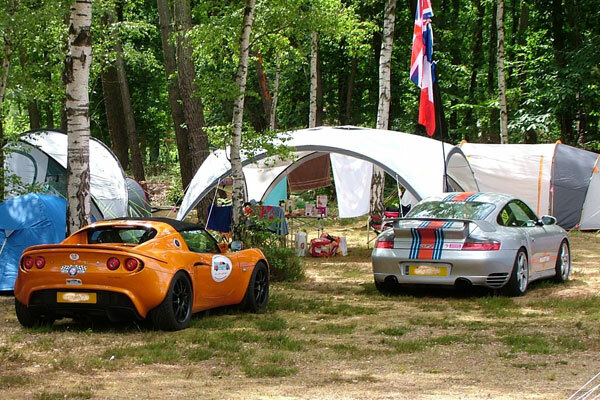 Camping at Le Pont Romain provides superior camping facilities in quiet locations no more than 30 minutes from the circuit. 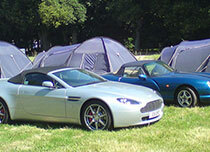 These can provide a good alternative to those still on a budget that want to avoid the crowds camping on the circuit. Hotel rooms are hard to find during the week of the Le Mans Classic. Many are booked more than a year in advance. We can offer a number of rooms in popular hotels such as the Novotel, Mercure and Ibis for those wishing to enjoy the Le Mans Classic in the relative luxury of a hotel bedroom.